When the original Dad’s Army was first broadcast in 1968, part of the show’s appeal was that it was set in an era that many people still remembered, but today, many of the audience sitting watching the new Dad’s Army film don’t even have parents who remember the Second World War. Will the new audience understand that Dad’s Army was an affectionate bit of fun about what was in reality an awful time? Will they realise that the comical characters of the film are based on real people who really were the last line in England’s defence when the country faced an enemy that was waiting to invade, just thirty miles away across the English Channel? The real Dad’s Army, The Home Guard, will seem comical today; an army of men who were left behind to defend their country, with little more than pitchforks and homemade bombs in their arsenal. If you have just come out of a cinema wondering what on earth the Dad’s Army movie was all about, here are some facts for you about the real Dad’s Army; the British Home Guard. 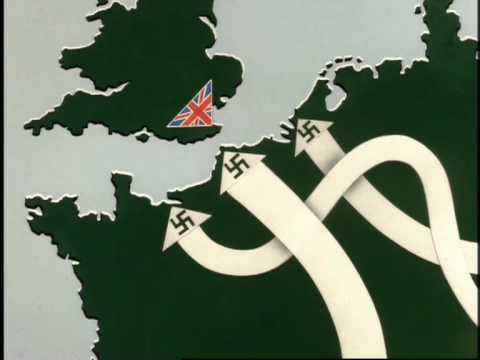 The image to the right, which comes from the opening credits of the original Dad's Army , was no joke; that was the situation that faced Great Britain in 1940. The Nazis had overrun much of Europe, the USA had yet to join the war, and Great Britain and its allies stood alone, with the German army just across the sea. 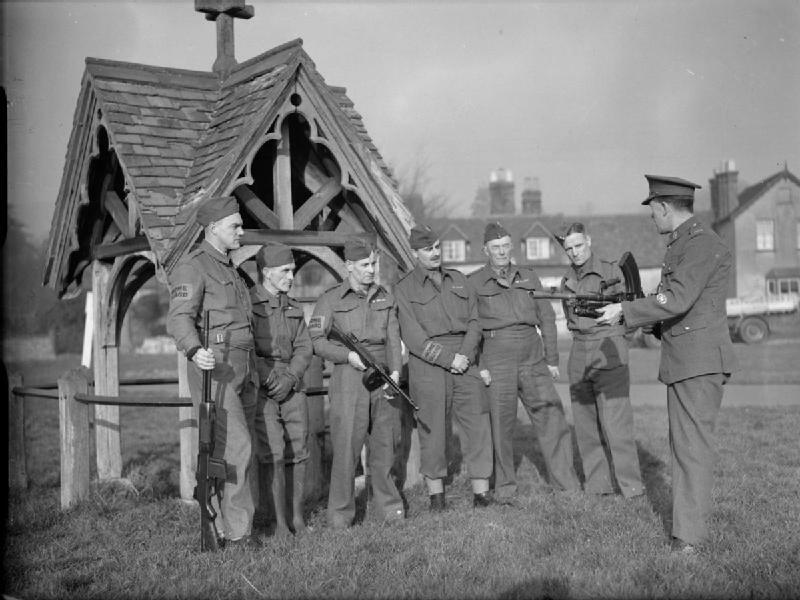 The Home Guard, originally called “Local Defence Volunteers”, was formed in 1940 and their unenviable job in the event if the seemingly inevitable invasion was to slow down an invading army as much as they could so that the regular forces could regroup to fight the Nazis on home soil. This army of volunteers consisted of men who were too old or too young for military service, or who worked in reserved occupations. Buckhurst Hill, Essex, 1 July 1940. When the Prime Minister of England made a radio appeal for anyone between the age of 17 and 65 who was not in active service to volunteer for the new Dad’s Army, a quarter of million people turned up at police stations and other locations to offer their services. Within months of the appeal that number had swollen to 1.5 million and cricket clubs and other social groups started to form their own Home Guard units. Despite the fact that the Dad’s Army TV show has made us all believe the Home Guard consisted primarily of men who were too old for active service, records from the national archive paint a different picture. 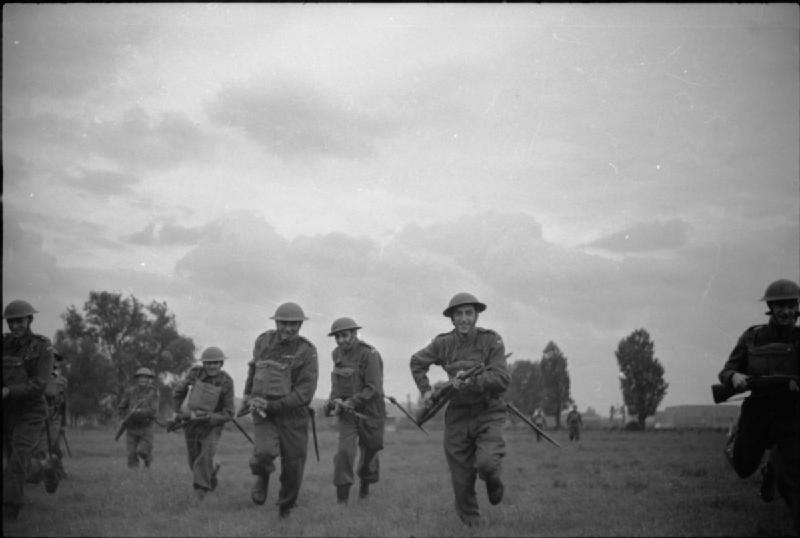 Half the men who served in the Home Guard were under the age of 27 and nearly 30 percent were aged 18 or under. When the Prime Minister made his appeal for volunteers on the radio, officials expected no more than 200,000 men in total to sign up, so when 1.5 million recruits arrived, there were no uniforms and no weapons available for them. To being with, members of the Local Defence Volunteers had only an armband to identify themselves and they armed themselves with shotguns, hunting rifles, and whatever else they could lay their hands on. They were later issued with proper uniforms and weapons. In the Dad's Army TV show, Lance-Corporal Jones, played by Clive Dunn, modified his butcher’s truck to use it as a Home Guard vehicle. This is exactly what happened with the real Home Guard. In addition to using bicycles and even horses to mount patrols, they also made their own version of armoured vehicles. 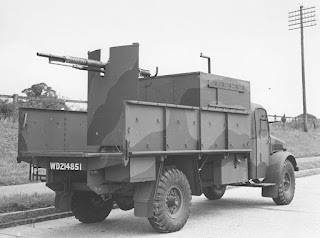 Even the vehicles that were officially provided for the Home Guard were improvised, like the Armadillo armoured fighting vehicle, which was a standard truck with light armour bolted to it and a layer of gravel to protect the occupants. at a passing aircraft , 30 July 1940. It’s a common misconception the Home Guard never saw any action at all. Thanks to victory in the Battle of Britain, there never was a Nazi invasion, but 1,206 members of the Home Guard were killed in action. 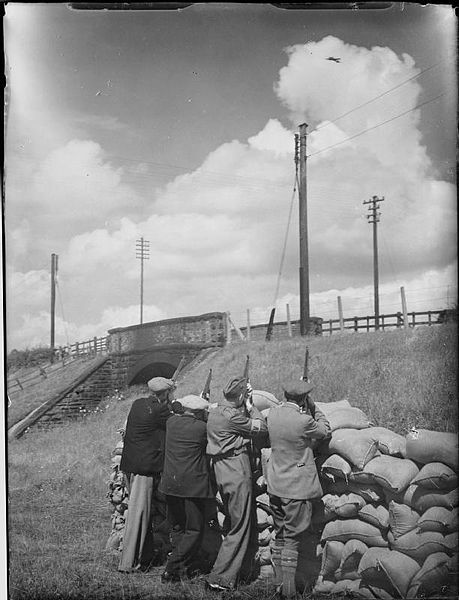 Members of the Home Guard manned anti-aircraft batteries, carried out bomb disposal duties, and, in Northern Ireland, members of the Home Guard fought gun battles with the IRA who were attempting to sabotage allied military installations. The Home Guard is credited with shooting down numerous enemy aircraft and V-1 flying bombs. 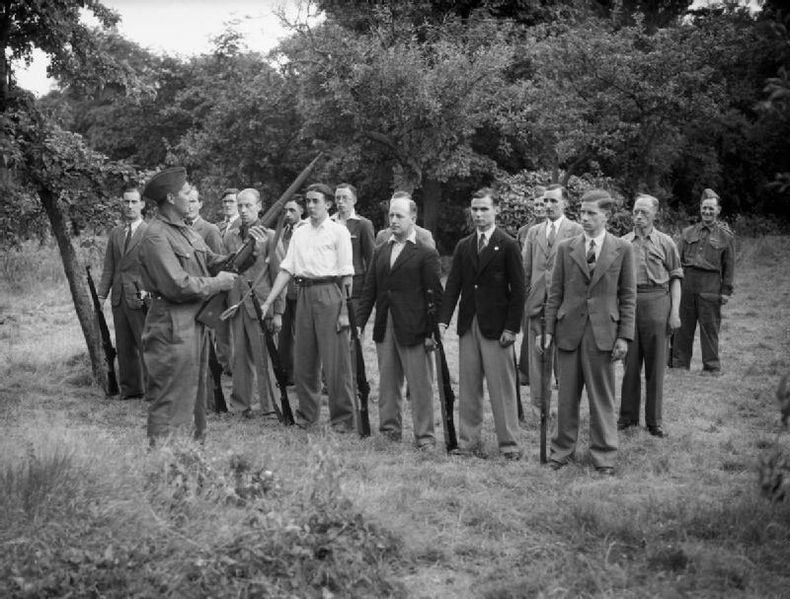 The name of “Local Defence Volunteers” was changed to the Home Guard at the request of Winston Churchill. He said that the original name was not inspiring enough. Prime Minister Anthony Eden initially disagreed with this change on the grounds that he didn’t want to encourage any more people to sign up for The Home Guard, because it was becoming too expensive to supply them with armbands. There was a secret side of the Home Guard too. In the event of an invasion, some members of the so-called Dad’s Army were tasked with sabotaging fuel dumps and factories to stop them falling into enemy hands. There were also members of the force who were recruited into commando teams that were trained in guerrilla warfare. on the green at Dorking, Surrey, 1 December 1940. As well as guarding against an invasion from across the English Channel, the Home Guard was also tasked with guarding against an airborne assault. They manned observation posts every night throughout the war and, in the event of an airborne invasion; they were to ring the local church bells as a warning to other Home Guard units. Because of that, the ringing of church bells for any other reason during the war was prohibited and access to the bells was strictly controlled. "In the years when our Country was in mortal danger, (name) who served (dates) gave generously of his time and powers to make himself ready for her defence by force of arms and with his life if need be. George R.I."